Jon Solomon’s 25-Hour Holiday Radio Show! Jon Solomon’s 29th-annual edition of the Holiday Radio Show! 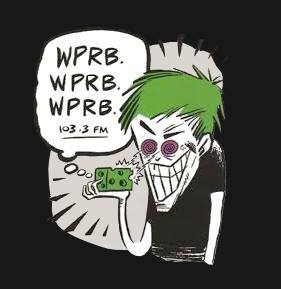 A 25-hour program for the fifth straight year, only on 103.3 fm WPRB! This year’s marathon begins on Sunday, December 24 at 5:00 PM ET and ends Monday, December 25 at 6:00 PM ET. A cavalcade of never-before-played pieces and original stories/songs recorded specifically for the program are in store come Christmas Eve 2017, plus all your past favorites. If you would like to make some requests, by all means get in touch. You can follow Jon on Facebook, Instagram and/or Twitter. Advance notice for each story should occur in two of those social locations and on the invite for the marathon. Don’t forget to use the hashtag #wprbxmas! The webcam and Live Listener Chat are below. You and yours are also cordially invited to join Jon Solomon downstairs at Johnny Brenda’s in Philadelphia on Saturday, December 16th from 10:00 pm ET -> 2:00 am ET for a preview of this year’s marathon. Free to attend, 21+.